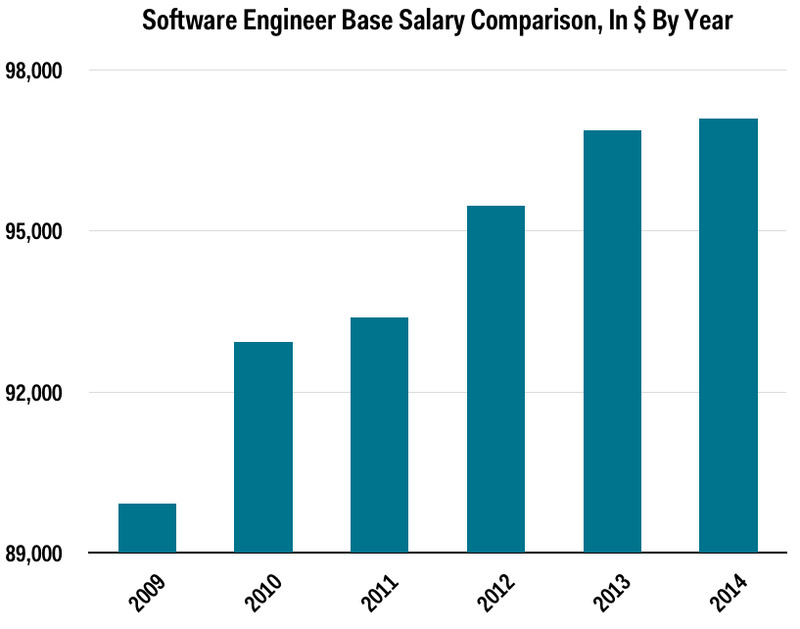 The average base salary of a software engineer in the US is getting closer to $US100,000. This year, the average is $US97,098, up just a few dollars from the year before. European engineers, however, earn a lot less. But they did get a big boost in base pay this year: Salaries here average €43,536 ($US55,329) before bonuses are paid, up 9% from €39,498 ($US50,198) in 2013. We asked Glassdoor to run these numbers for us. Glassdoor’s salary survey is based on 3,600 software engineer salary reports in the US, and a smaller number in Europe.